The spirits industry is a lot less glamorous and a lot more difficult than many celebrities anticipate. With high profile celebrity-backed spirits like P. Diddy’s Ciroc selling massive volumes, and Sammy Hagar making a mint for selling Cabo Wabo Tequila, celebrities are often lured in with the hope of making a quick buck, doing something fun, and extending their brand. Unfortunately, most celebrities find out very quickly that the spirits industry can be a lot less profitable or fun than they ever imagined. For every Ciroc or Cabo Wabo Tequila, there are a hundred other celebrity-backed messes – just ask Bruce Willis, Shaquille O’Neal, Ludacris, and Toby Keith, to name a few. A handful of celebrities have been quite smart about their investments in the spirits space. Dan Aykroyd has proven that good, solid, hard work and salesmanship can help create and grow a brand, and his Crystal Head Vodka does well because of his on the ground efforts. Justin Timberlake, who struggled on his own with 901 Tequila, proved that it’s much better to have a strong, established partner and has relaunched his tequila with Jim Beam as a joint venture as Sauza 901. George Clooney has also been quite savvy with Casamigos Tequila, partnering with real estate mogul Michael Meldman (Discovery Land Company) who not only has immense capital (something extremely important in the spirits biz), but also had a built-in audience for the product. Clooney has also partnered with friend Rande Gerber, who has tremendous experience in the spirits space with the successful Caliche Rum. 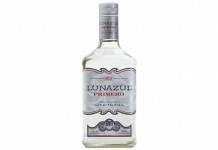 To source their tequila, the team went to Productos Finos de Agave (NOM 1416), who has proven that it understands the mainstream tequila palate, producing Clase Azul and working with buzz brand Tequila Avion. Finally the team brought on Sidney Frank Importing, the powerhouse distributor behind the success of mega brands Grey Goose Vodka and Jägermeister. With Casamigos Tequila, Clooney has been extremely patient, steadily and deliberately growing the brand and establishing the core blanco and reposado offerings before bringing out an anejo offering. 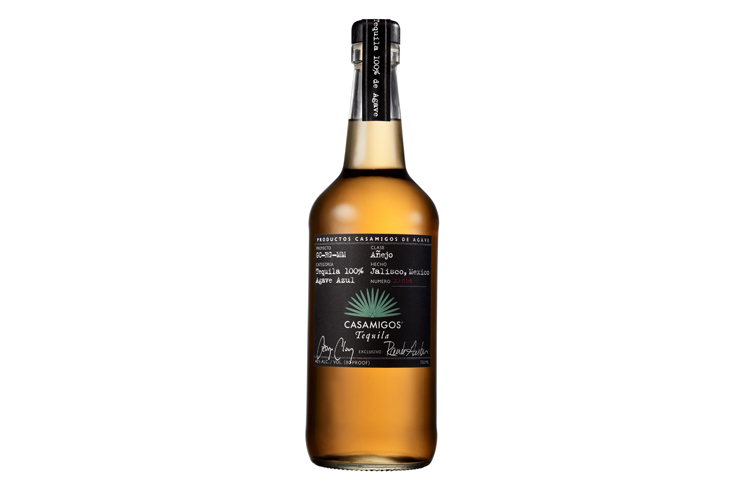 Casamigos Anejo Tequila (40% ABV / 80 Proof, NOM 1416, $54.99) – from the first nosing of this tequila, it’s clear that the Casamigos team has a very specific style and character target for their spirits. The Casamigos Anejo is as soft and understated on the nose as the Casamigos Blanco and Reposado. Here, the anejo has roasted agave combined with caramel, cocoa powder, salt, white pepper, bell pepper, and a touch of oak. The aromas aren’t effusive, and so you really have to dig to get them. The impact from the oak is very light given it’s an anejo, and it’s nicely balanced with the other aromas. As with their other offerings, Casamigos has delivered an anejo which is very clearly best consumed neat or over ice. 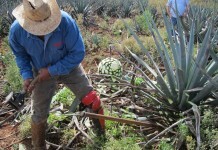 Casamigos Anejo is a light, delicate, and remarkably easy tequila. It has a nice balance of sweet and spicy and uses the oak to dry things out rather than amp up the spice. 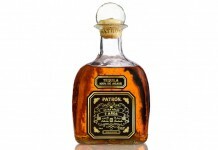 Our only gripe is that the finish is a touch too dry, but that’s not enough to hamper the enjoyment of this tequila. Dangerously drinkable, Casamigos Anejo Tequila is very much a gateway tequila, a perfect spot for folks who many never have considered sipping their tequila straight to start. Diehard tequila aficionados will surely scoff at Casamigos’ light and delicate style, but we think it will strongly resonate with the larger population of drinkers. 86 points. Dangerously drinkable, Casamigos Anejo Tequila is very much a gateway tequila, a perfect spot for folks who many never have considered sipping their tequila straight to start. Diehard tequila aficionados will surely scoff at Casamigos' light and delicate style, but we think it will strongly resonate with the larger population of drinkers.